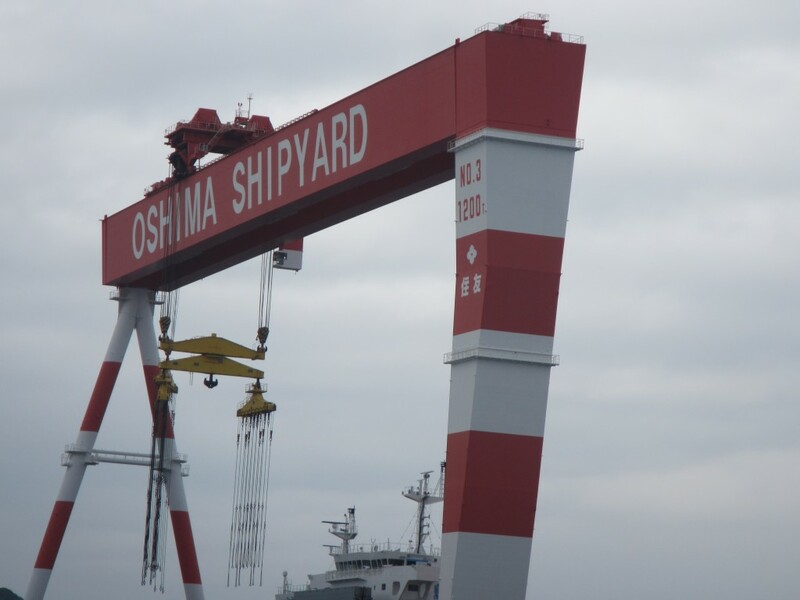 Oshima Shipbuilding of Japan inked newbuilding orders for 65 vessels of a combined 2.36m gt last fiscal year on the strength of ‘mini boom’ in global newbuilding market. It is the historic level in terms of single annual orders, filling its orderbook scheduled until three years from now. However, new orders are forecasted to slow down as newbuilding market condition is depressed this year. Oshima explained that the withdrawal is influenced by exchange rate which reached to 100 yen to the dollar at that time resulting from historic upward revaluation of yen. It also explained that fixing construction time is also hard to decide as supply and demand have deteriorated in global shipbuilding industry while noting, “We will contemplate along the current trends” on overseas expansion in future.